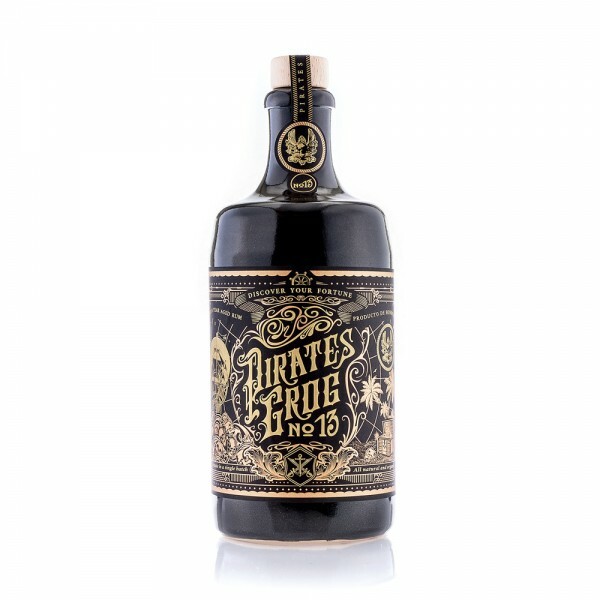 Pirate's Grog No.13 is an exquisite 13-year aged single cask golden rum. This second batch is rich, full-bodied, sensationally smooth and satisfyingly sweet. With less than 1000 bottles made, this is a rum to be sipped and savoured. Notes of dry spices, butterscotch, leather, vanilla and chocolate make for an excellent drink served either straight up or on the rocks. A rum for rum-lovers, Pirate's Grog No.13 has just won two more awards in the World Drink Awards 2017 for 'Best Aged UK Rum' and 'Best Design Effectiveness'.